Poultry Shield is one of my top products that I keep in stock for cleaning the chicken coop and I certainly wouldn’t be without it. Poultry Shield is a fungicide, bactericide, and a virucide and is effective against bio-films. Poultry Shield has two uses. It is excellent at helping to remove organic matter when cleaning out the coop and killing off many ‘nasties’ that can cause diseases but it is also very effective against Red Mite since it can get into the cracks easily, unlike red mite powders. 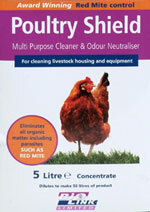 Poultry Shield is a very safe product to use if you follow the manufacturers instructions. It doesn’t contain poisons and can even be used in organic production systems. It is bio-degradable and has a low odour. 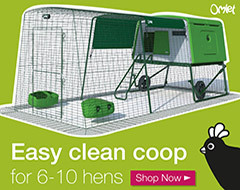 Although I don’t ever clean my chicken houses out with birds in them, the manufacturers even state that providing you don’t spray birds directly, there is no need to remove the birds: This could be useful for spraying in the cracks and perch ends whilst the birds roost at night to kill off any Red Mite that are hiding. Poultry Shield certainly takes some beating for safety but even so, remember to wear rubber gloves and eye protection as a precaution! 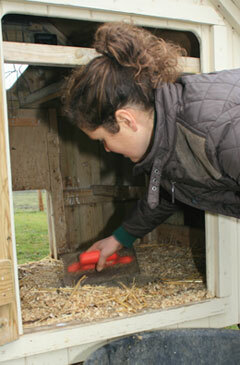 Poultry Shield for Red Mite Control. I have used Poultry Shield successfully in the battle against Red Mite, usually combined with diatom after the coop has dried out. Poultry Shield is a detergent that washes the waxy coating off the mite. The mite dries out and dies within 48 hours. There are two ways in which I use it. Firstly, if I have a Red Mite infestation, I will mix up some Poultry Shield and wash the house out, concentrating on getting it into all of the cracks in the wood. The second way in which I use it is to mix up a solution in a small plant sprayer any (wearing gloves and eye protection), spray it into the cracks that you can’t get to with a watering can. I save some on the mixture in the spray bottle to use every few days before the mites have a chance to get a hold again. Compared to most of the sprays available containing pesticides, it’s far safer and much cheaper this way. 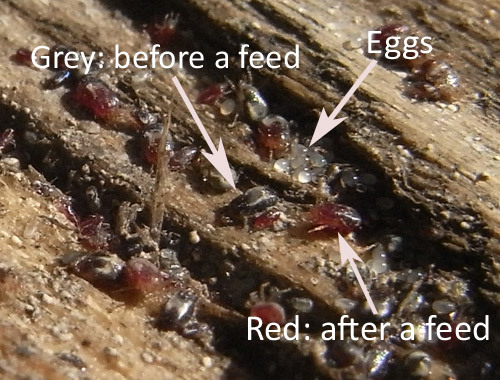 There is more information on how we treat for Red Mite here on my Red Mite page. Note: Poultry Shield must come into contact with the Red Mite or Eggs in order to work so make sure you concentrate on the cracks and areas where the mites are hiding. I find Poultry shield particularly good because it penetrates the cracks where powders cannot. It also destroys the Red Mite eggs which breaks the life cycle of the mite, helping to reduce their drastic numbers. Poultry Shield comes as a concentrated liquid. You will need to measure out the amount required (I use an old measuring jug) and dilute it down with water to the correct strength, as recommended by the manufacturer. This is 1 part Poultry Shield to 9 parts water. I usually buy 5 litres of Poultry Shield as it is more economical but it is available in 1 litre containers too (it’s around £20 for 5 litres, £10 for 1 litre). 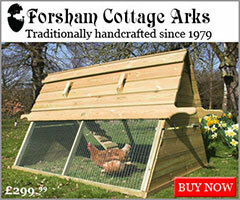 You can buy Poultry Shield online on Amazon which seems to be the cheapest way to buy it. The 5 litre tub is the most economical but I bought a smaller spray bottle as well so I can top it up from the large tub (with water) and spray in the cracks. I also mix some in a watering can for my cleaning at 10 parts water to 1 part poultry shield. Do you have any experiences with Poultry Shield? Please leave me a comment below. I’m sorry I don’t know about getting it in Ireland. Have you tried calling some of the UK suppliers up to see whether they would post it out to you? Hi just to let you know there are suppliers in ireland – LK Poultry in Limerick sold me some yesterday so am anticipating a mite free life! Once a week is usually about right but if you have a big coop, you can get away with every other week over the winter. 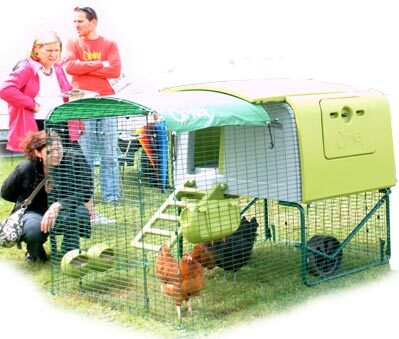 Once they know where home is, they will go back to their coop to roost at night. If it’s a new coop, dust with a powder (this has a residual effect if mites try to get in) but poultryshield won’t prevent them, it is basically a detergent and washes the waxy coating off the mite so by ‘washing’ the coop, it won’t prevent them. Poultryshield can be used with hens in the coop (so they say) so if spraying the cracks, I certainly wouldn’t worry about washing it out. If soaking the whole coop, I would rinse afterwards with a hosepipe (if it’s not banned yet!) or bucket of water. I don’t worry too much with this, it’s very safe compared to most chemical disinfectants and seems no more harmful than washing up liquid to me… it is after all an organic detergent. 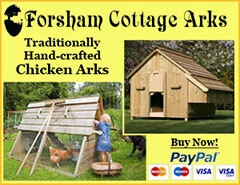 where did you buy your poultry shield? In the U.S.? Thank you so much for your information. I was wondering if you need to clean out the coop with Poultry shiled every week or if a wash down would be enough and poultryshiled less frequent. Also- once you have made up the mixture, can you keep it for a length of time in a bottle or does it need to be used up immediately? I use it weekly during the red mite season. 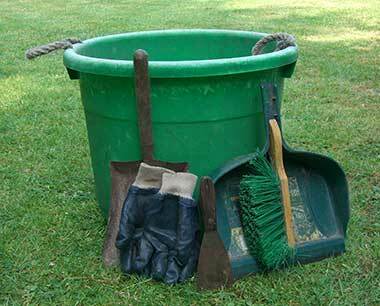 It is good for cleaning – but also to keep red mite away. It is after all a detergent rather than a disinfectant so can be used for general cleaning without harm to the environment. Hybrids are a good start for beginners. Pure breeds vary so much depending on what you choose and what you fancy, it’s hard to make recommendations. Personally, I’m not keen on bantams I like large fowl but each to their own! Red Mite powders such as diatom are useful dusted around the perch ends to ward off the dreaded red mite but also poultry shield is good for general cleaning (it is a detergent) and should be used regularly to help prevent red mite as well. (I have pages on both Poultry Shield and Diatom if you’re interested). Thank you for the simple and concise guide. One question is do I need to hose it off or can I just leave it? My chicken coop is an old shed which would be difficult to hose. I haven’t checked the label, however I don’t believe you need to wash off poultry shield. It’s very safe – it’s a detergent. And.. if you have wood shavings or similar on the floor then it should be fine.